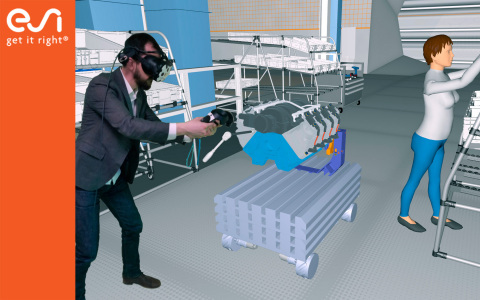 ESI Group (Paris:ESI), pioneer in Virtual Prototyping and creator of IC.IDO, the leading Virtual Reality (VR) solution for industrial applications, will exhibit at the 21st edition of Laval Virtual, March 20-24 in Laval, France. Along with Diota, a leader in Digital-Field software solutions for Industry, ESI will present for the first time a live demonstration of their common value proposition, combining VR and AR within an operator-centered digital continuity solution. Together, they will address challenges related to factory assembly and in-service maintenance through an end-to-end solution that efficiently leverages digital data to achieve improved productivity, quality and traceability while decreasing operational risk. Singapore’s HES Energy Systems to Launch Autonomous Zero Carbon Hydrogen Aviation Program in France. Travaux de mise en conformité des branchements d'assainissement en domaine privé sur la commune de Le Thillay. Travaux de terrassement et de génie civil visant à la mise en conformité de la continuité écologique au barrage et à la réfection du barrage.